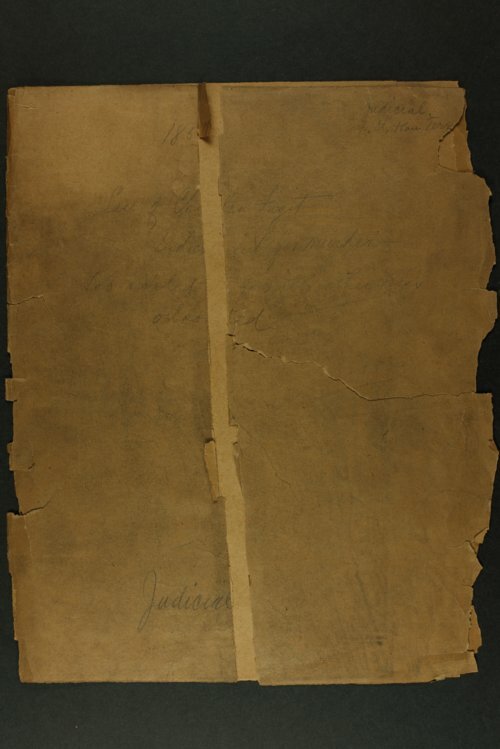 Testimony given at the trial of Charles Fugit in the muder of William Hoppe on August 19, 1856 in Leavenworth County, Kansas Territory. Witnesses testified that Fugit shot and scalped his victim and exhibited the scalp in a pro-slavery camp. Fugit was acquitted on June 23, 1857 by Samuel D. Lecompte, appointed chief justice of the territorial supreme court.